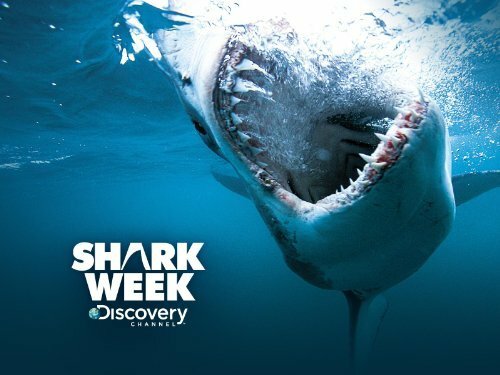 Last Weeks collection on Now TV was shark week and if I’m honest I always find these sort of things interesting and started to make my way through some of the documentaries and it was amazing how little we seem to know about probably one of the most well-known predator in the world. The view that we have of them being solitary animals when in actual fact that it seems certain sharks actually work together in small groups. Due to this being a new behaviour that we haven’t seen a lot they don’t know whether the sharks just hunt in these packs or whether they actually live together. The one bug bare that I had with a few of the documentaries is the fact they are looking for a specific shark they haven’t seen for two years, although I understand why they were looking for that specific shark but at the same time how did they know it was still alive? The team in the one documentary ended up going to three different countries in order to track down this one Shark. Which is great but to me that does feel like it could be a waste of time and money, but was really pleased when they did find that particular Shark. Although the collection is now gone the documentaries are still there if you want to watch them. I would highly recommend you go and check them out if you access to the Discovery Channel whether it’s through Sky or NOW TV. One thing though I will say all the documentaries have in common is the fact they say the shark has no other animal in the world that can beat them as a predators and we know that, that just isn’t true because there is a pod of Orcas that pry on Great White Sharks.